In Roman religion, goddess of wild animals and the hunt, virtually indistinguishable from the Greek goddess Artemis. Her name is akin to the Latin words dium ("sky") and dius ("daylight"). Like her Greek counterpart, she was also a goddess of domestic animals. As a fertility deity she was invoked by women to aid conception and delivery. Though perhaps originally an indigenous woodland goddess, Diana early became identified with Artemis. There was probably no original connection between Diana and the moon, but she later absorbed Artemis' identification with both Selene (Luna) and Hecate, a chthonic (infernal) deity; hence the characterization triformis sometimes used in Latin literature. 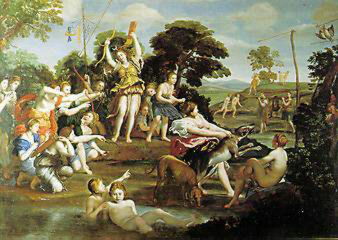 The most famous place of worship for the Italian goddess was the grove of Diana Nemorensis ("Diana of the Wood") on the shores of Lake Nemi at Aricia, near Rome. This was a shrine common to the cities of the Latin League. Associated with Diana at Aricia were Egeria, the spirit of a nearby stream who shared with Diana the guardianship of childbirth, and the hero Virbius (the Italian counterpart of Hippolytus), who was said to have been the first priest of Diana's cult at Aricia. A unique and peculiar custom dictated that this priest be a runaway slave and that he slay his predecessor in combat. At Rome the most important temple of Diana was on the Aventine. This temple housed the foundation charter of the Latin League and was said to date back to King Servius Tullius (6th century BC). In her cult there Diana was also considered the protector of the lower classes, especially slaves; the Ides (13th) of August, her festival at Rome and Aricia, was a holiday for slaves. Another important centre for the worship of Diana was at Ephesus, where the Temple of Artemis (or Diana) was one of the Seven Wonders of the World. In Roman art Diana usually appears as a huntress with bow and quiver, accompanied by a hound or deer. 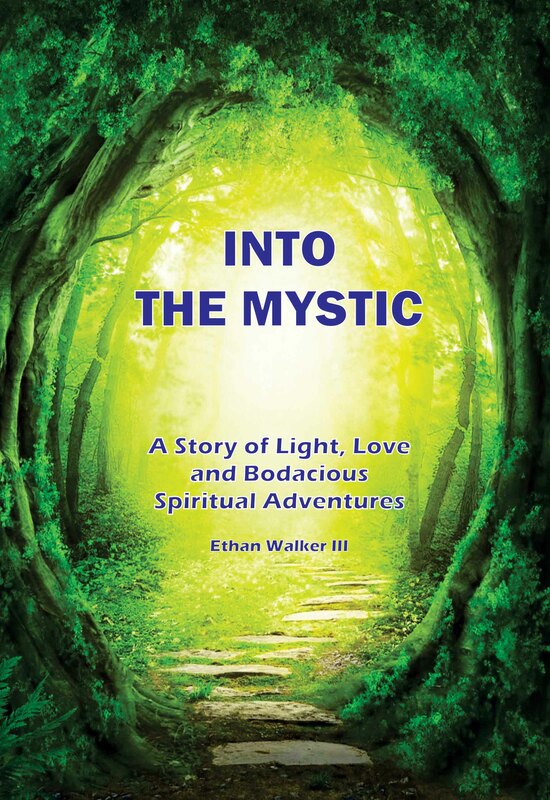 A story of light, love and bodacious spiritual adventures. Explore the book Into the Mystic. Experience the divinely intoxicating love of the Goddess. Explore the book Soft Moon Shining. Learn how to love the Goddess and feel the Goddess loving you in the book Finding God's Love. 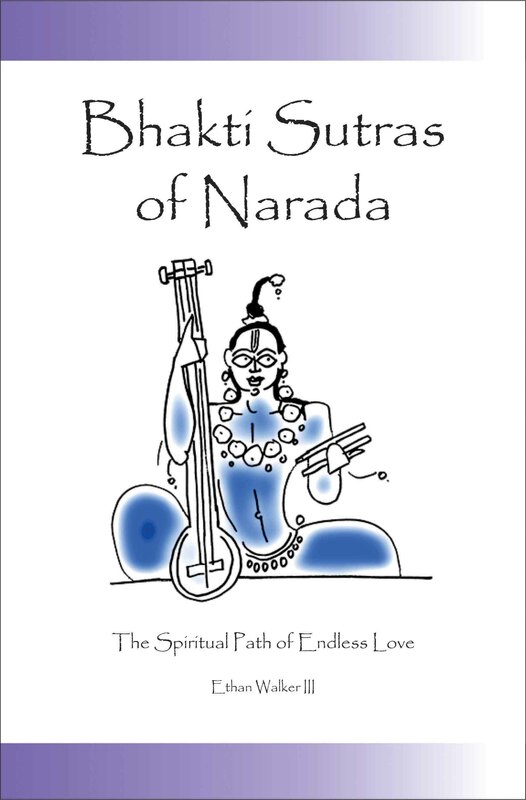 The spiritual path of endless love Bhakti Sutras of Narada. 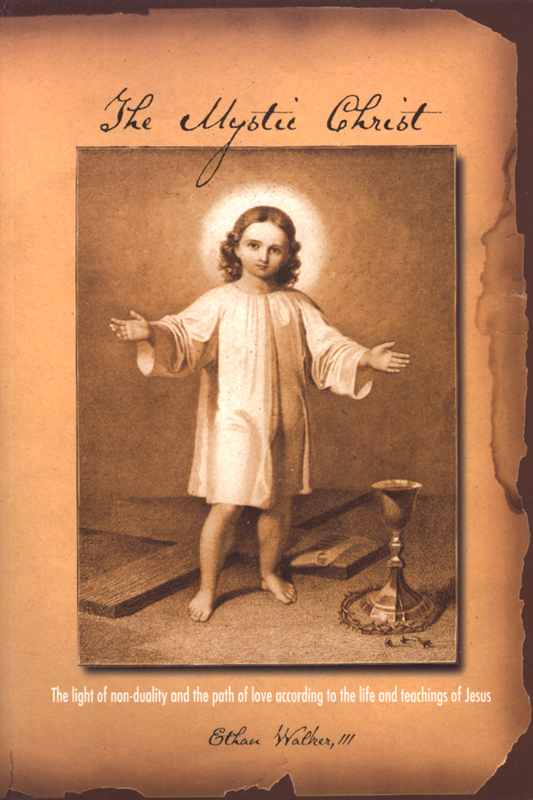 The light of non-duality and the path of love according to the life and teachings of Jesus The Mystic Christ.